According to a recent Wall Street Journal report Susan Rice was not alone in unmasking Team Trump officials for political purposes. 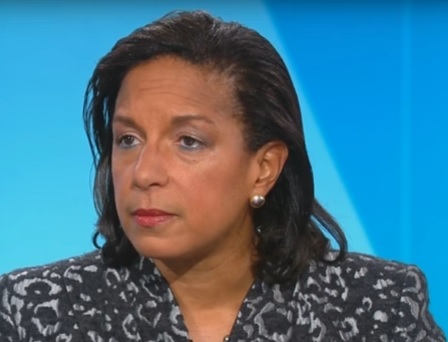 Rice admitted to unmasking Trump officials on Tuesday but she was not the Obama official who unmasked General Michael Flynn’s conversations with Russian officials. That was a different Obama administration official. It was a coordinated effort by the Obama administration to take down Trump before he entered the White House. This is where the WSJ comes in, with the new info that according to a Republican official familiar with deliberations by GOP lawmakers on the House Intelligence Committee said that the names of two U.S. citizens who were part of Mr. Trump’s transition team have been unmasked in intelligence reports. One is Mr. Flynn and the other hasn’t been identified. The report involving Mr. Flynn documented phone conversations he had in late December with the Russian ambassador to the U.S. The WSJ then reports that Rice had requested the unmasking of at least one transition official — not Mr. Flynn — who was part of multiple foreign conversations that weren’t related to Russia. In other words, the story that Susan Rice is the unmasker is incomplete as there is at least one more person exposing the identities of people in Trump’s circle, and that the NSA and other intel agencies have been surveilling, accidentally or otherwise, at least one, so far unnamed individual, from Trump’s circle. It may well be someone that the WaPo and NYT have already published about, or it may be someone who has yet to hit the newswire, delivering the latest twist of the ongoing intelligence-fed news cycle. For now the answer is unknown, although when Rice testifies under oath before the House Intel Committee, we hope that all outstanding questions will finally get answers. under oath before the House Intel Committee, we hope that all outstanding questions will finally get answers.